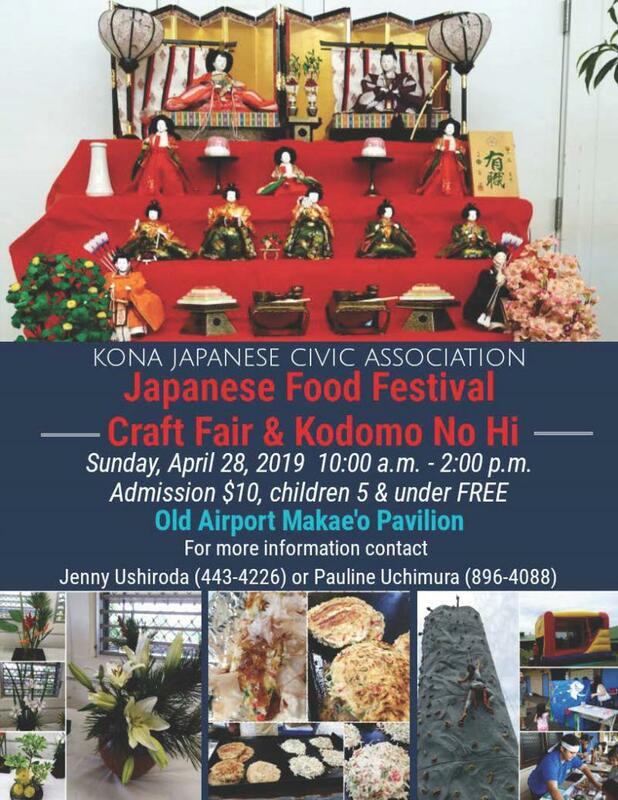 The Kona Japanese Civic Association was organized in order to support activities that relate to the Japanese culture in Kona. To preserve the unique legacy of the many contributions of persons of Japanese ancestry to the Kona community. To support cultural and educational programs that promote awareness and pride in our Japanese heritage. To encourage participation in community activities for the benefit of individual members and the community as a whole. To represent the Japanese-American community of Kona by maintaining a relationship with the Japanese Consulate in Honolulu which may include welcoming or hosting dignitaries or groups arriving in Kona from foreign countries, particularly from Japan. To cooperate with other ethnic and civic organizations when such efforts mutually further the goals of the Association.